If your little ones are rest-resistant, check out the Twilight Turtle Purple – it ‘turtley’ rocks! To all intents and purposes, the Twilight Turtle Purple is a soft, purple, cuddly toy. Twilight Turtle Purple. 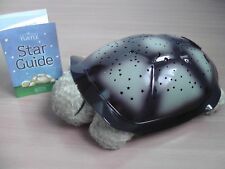 Official Cloud B Twilight Turtle Original Night Light Projector. Condition is Used. Dispatched with Royal Mail Signed For® 2nd Class. 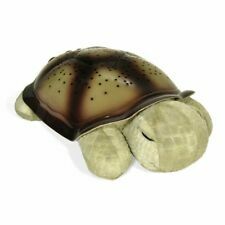 For use as a soothing, cuddly nightlight, the Twilight Turtle lights up at the push of a button! Twilight Turtle Classic. Twilight turtle is a great way to get your children to sleep! On the face of it, the Twilight Turtle is a comforting, soft toy. Official Cloud B Twilight Turtle Original Night Light Projector. 3 NEW BATTERIES INSERTED. HAS BEEN USED,GOOD CONDITION READY FOR USE. The Turtle plush is now available in 3 different colors: Mocha, Blue or Purple! 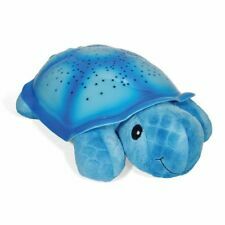 Twilight Turtle is a plush toy nightlight that transforms any room into a starry night sky to help comfort children to sleep. 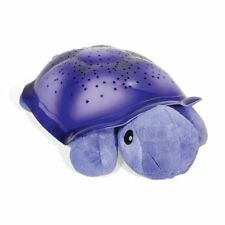 Twilight Turtle is a plush toy nightlight that transforms any room into a starry night sky to help comfort children to sleep. Twilight Turtle's shell illuminates to help ease children's fear of the dark.